for further information see on Capacity and CNC machines above. 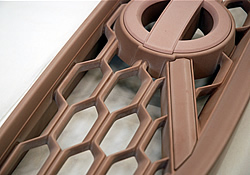 We use TEBIS for CNC programming, the most effective CAM program on the market. 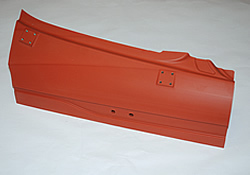 small-series parts in plastic, aluminium and steel. form parts varying in nature as well as design and visual models. milled prototype parts, tools/models for lamination and vacuum moulding. 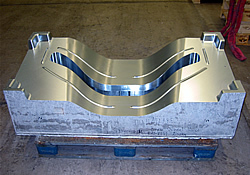 prototype tools for steel plate forming, double-acting or for flexforming (Quintus). 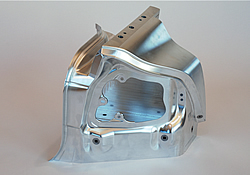 casting models and we also handle casting of aluminium parts in small and large series. 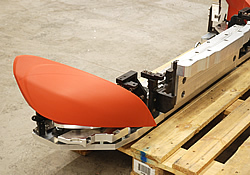 If the customer wishes, we deliver parts with a measurement protocol, see also headline Measurement. If you have any questions, please contact Peter Sandén or Carl-Johan Källberg, see also Contacts above. 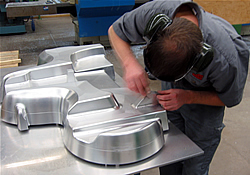 Milling of small-series parts and design models. 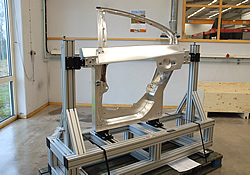 Together with our partner Holje Mekaniska, we design and manufacture cube models for matching and quality assurance. 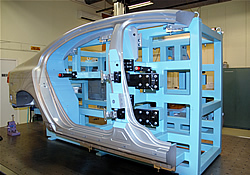 Cubing modules for the automotive industry. 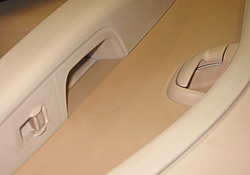 For further images, see CNC milling in the image archive.